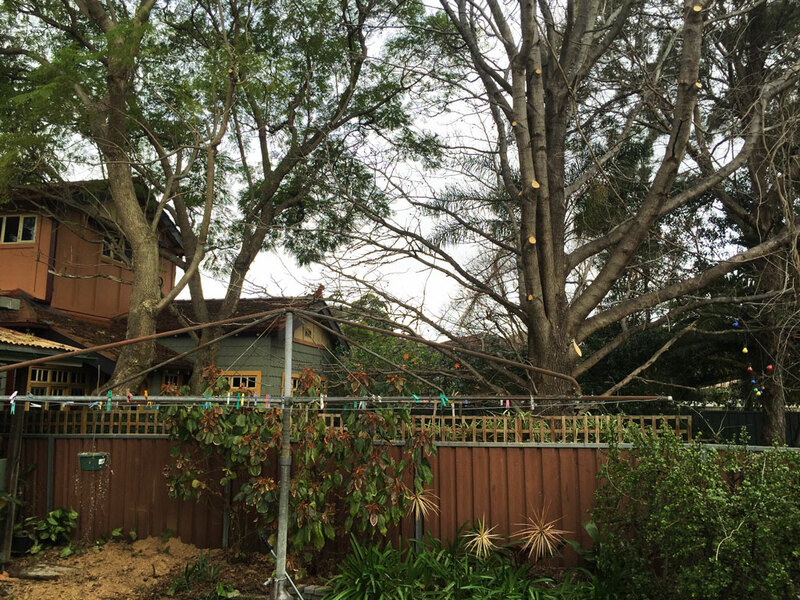 There would have been very little sunshine on this washing line in Croydon Park before we pruned the trees next door. The Jacaranda had overshadowed a Melaleuca, which resulted in a poor and unhealthy canopy, so we removed the Melaleuca and pruned the Jacaranda. The Liquid Amber next to it needed some lopping as well, to keep it clear from the garage as well as the clothes line.